It’s already April and I haven’t had a market yet! Can that be right? Well there was the Bicheno Bush Fire Fundraiser event on Australia Day… That was a blast! A great festive vibe and my lovely hubby raised over $600 in cutting his AMAZING dreadlocks off! (Insert massive sigh…) All for a good cause plus I donated a portion of my sales to the fundraiser. Soon I’ll be packing the car and the kids up and heading to Melb0urne via the ferry (keeping everything crossed for a smooth ride over) to see my family and friends and thought, hey, I should do a market while I’m there. And the gorgeous girls of Blackbird Markets are happy to have me! Georgia and Courtney have been so supportive and encouraging and we’ve had some fun emails back and forth. I cannot wait to meet them and be a stallholder at my first ever Melbourne market. It will be a sweet feeling to be in my old stomping ground of Fitzroy too! They’ve written up a lovely post for me too under the Who’ll Be There section of their website! Then, I’ll come home after 3 weeks in the big smoke with my mumma! Yes, I cannot wait! While she’s here, I’ll be prepping for 2 weeks solid for the Bay of Fires Art Prize Market where I will focus on my fibre creations and wearable art plus a little bit of jewellery. While all this is happening, I’ll be doing my best to get ready for my second exhibition at Gone Rustic in St Marys in September. I had the pleasure of meeting lovely Rita Summers when she and a group of ladies visited my Mulberry Exhibition and she asked if I’d consider doing one at her gallery (chuffed!!!). Of course, I said yes! 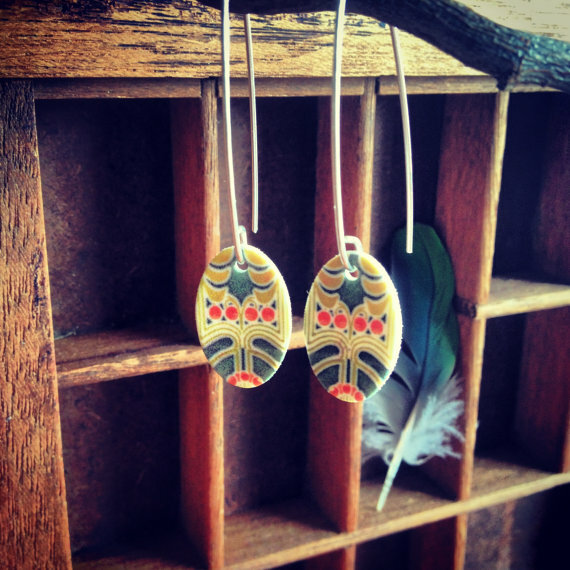 And aside from all that, I’m continuing to create new pieces and new to Nanna Woo are the Dingle Dangle Earrings… you like?